Hello everyone! Please note that our blog has moved to our new site. For all my posts on sleep tips and sleep training information please click here. It’s that time again! 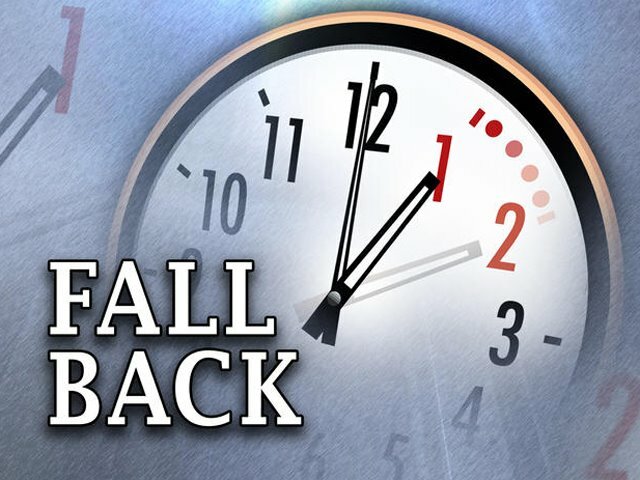 Sunday November 4th we change our clocks and gain an hour of sleep. Ya right! If you’re ready this than chances are you have kids. Gone are the days of singlehood where you can bask in slumberville and enjoy that extra hour. Here are the days of early rising cries and late bedtime battles. So what do you do? The first thing you do is take a deep breath. These time changes happen twice a year and we always manage to get through them unharmed. Say it with me – this too shall pass. If your child isn’t super sleep sensitive, and some kids aren’t, then you may be able to just jump to the new times and wait for them to adapt. Consistency is key in whichever approach you take. It may take them a week or two to adapt but they do adapt just like we do :). For those who are a little more sensitive to routine and sleep the best approach to take is a gradual shift in schedule. You have to understand that with setting the clocks back, what was a 7am wakeup for your child will now turn into a 6am wakeup. It’s always a good idea to bump up your routine in the beginning. So for the little nappers of the house, because wake time in the morning will be earlier, it’s a good idea to bump up the morning nap by 30 minutes. So your normal naptime of 9am will get moved up to 8:30 am. The same will happen for your afternoon nap. Because everything will be bumped up throughout the day, and naps will end earlier, you will also need to bump up bedtime by 30-minutes as well. This super early bedtime won’t be forever, dont’ worry! Once wake time in the morning and daily naps start inching closer to your original wake times you can start adjusting bedtime and naptimes to your normal routine again. For the older kids who don’t take naps anymore, bump up that bedtime! At least until their sleepy biological clocks have adjusted. Hang in there moms and dads. The shift in this new schedule normally takes a week or two for our kiddies to adapt to it. They will get there! Remember my two favourite words – persistance and consistency! You will get through this. WIN a Customized Sleep Plan on Pinterest! Okay so on Day 3 I cheated a little… I kind of pawned the twins off to my parents while we took the four-year old to Canada’s Wonderland. So I wasn’t really there to experience the crankiness in all it’s glory but gathering from Nana’s report there wasn’t too much crankiness to witness! Yay! My mom was so happy to hear they didn’t have to have their morning nap. She’s been wanting to spend more time with them and it was tough when she always had to work around their nap schedule. We brought her the stroller and she was finally able to take them out to the park and show off her grandchildren. She frequented the park quite a bit with my eldest daughter so everyone knew about the twins. She was so happy to finally bring them and more importantly Duncan and Lila had a blast. She followed my instructions of getting them down no later than noon and letting them go as long as possible. My mom is pretty awesome with following my sleep instructions as she understands the importance of a consistent routine and the need to not push their limits when it comes to sleep, so I wasn’t at all worried that all my previous hard work the days before would be for nothing. The report came back that all went well. She fed them an early lunch and got them down on time and they slept off and on until around 3:30. Amazing. When we picked them up they seemed in good spirits but I could tell they were a little rough for wear around their eyes. It was day 3 after all and the change of routine, not to mention they just napped in their pack and plays and probably didn’t have the best sleep possible, was starting to catch up to them. It was even more important now to watch their signs and get them down nice and early for bedtime. It was another night of an early dinner and bedtime. Everyone was in bed by 6pm, including the four-year old. It was a loooong day at Canada’s Wonderland, for mom and dad too. Early bedtime for everyone all around! The past couple of days there hasn’t been too much to report. Lila is adjusting and Duncan is doing great. He really could have dropped that nap a few weeks ago but such is life with twins! Had to meet in the middle so they could remain on the same schedule. This is it, there’s no going back. No more morning nap, so all I can do is remain consistent with their routine and make sure that for the next few weeks I’m making a conscious effort of having them log in as much sleep as possible so that they don’t accumulate any sleep debt. That means that start time for their nap will remain at 12:00 pm for a while with our goal to be pushing it to 12:30. I’ll know when I’m able to do that. I also have the rule that no matter what they are in their crib until at least 3:00 pm. I have to encourage them to lengthen out that nap again. A 1 to 1.5 hour nap won’t cut it anymore in the afternoon. Because there isn’t a morning nap any longer we have to redistribute their sleep time, therefore making that afternoon nap longer. Even if they wake up at 2:00 pm they stay in their crib until 3pm. Bedtime will remain at 6pm for another week or so. I’ll be able to push that back to 6:30 pm soon and then aim for 7:00 once they get closer to 24 months. So that has been my journey thus far. While I won’t be updating daily, I will let you know if we have any hiccups down the road. Sleep training and making transitions can have its ups and downs even for my children. But as I always tell you, with persistence and consistency we will succeed! And we are more than half way there. Day 1 of the nap transition proved to be successful. For the most part they made the jump from wakeup to a 12:00 pm afternoon nap relatively well. Please understand this isn’t the only way. You can definitely take a gradual approach when transitioning to one nap. I chose to take the big jump because I was dealing with two at the same time and I knew my son could handle it. Also we were both home on vacation this week so keeping both busy during the morning would prove to be a lot easier. I wanted to keep them on the same schedule for the most part, so I made the decision that this was the route I was going to take with both my son and my daughter. Day 2 started out like most days, we woke up at 7am had breakfast and our day began. We kept it busy with walks and some park time. Duncan was a trooper yet again. Missing that morning nap didn’t even phase him. Lila on the other hand was having a tough time with it. While she was loving all the extra playtime and the smile was there, we noticed her patience was very short and she always seemed on that brink of a meltdown. An edge I like to stay clear from always. So it was another early lunch and both down by noon. Again they both had a great sleep, logging a good 3 hours (remember that afternoon nap get’s lengthened out as it’s the only time throughout the day that they are sleeping) and woke up fresh and alert. Bedtime was again bumped up to 6pm, balancing out the lack of sleep throughout the day, which was accepted by both beautifully and without fuss, and another great night of sleep followed. This small sleep journey just proves that every child is truly different and methods that you choose really depends on the temperament and personality of your child. My daughter will have a bigger struggle with this transition, and had I been dealing with just her I’d keep her on two naps for a few more weeks. But she’ll adapt and catch up to her brother. It will take time and patience, and some of that consistency that I like to preach about, but we’ll get there. I had held on to it for probably a month more than I should have for a few reasons. Even though they hadn’t been sleeping so great for their afternoon naps lately, my little all-star independent sleepers were fine with chilling in their crib for an hour or so and having some quiet time, or entertaining one another (the perks of having them in the same room.) They were still going down fine at night and sleeping through until morning, so I held on as long as I could. I used the ‘me’ time to write sleep plans for you :), and was able to stretch out the transition to when they were closer to 18 months and older, and therefore making that jump from wakeup in the morning to the afternoon nap that much easier. I also wanted to wait until my husband was home while we were on vacation. I thought oh no, I’m not doing this alone buddy! If I’m going down you’re going down with me. So we planned that Tuesday would be our day. A few days before I was starting to put them down a bit later and later, pushing out that 9am start time to 9:30 or 10am. I knew that my son would have no problem with the jump, he has always been better at stretching out those awake times. It was my daughter I was worried about. She is my routine girl and she loves and needs her sleep. She was not going to be easy, but she’d pull through. Tuesday came around and we woke up saying okay this is it, we’re doing it today. We woke everyone up at 7am and had breakfast and it was go time. The next step was the smartest I could make, I left! Haha! I grabbed the four-year old and high-tailed it out of there 🙂 Only after I made sure hubby was okay with it, of course. Hey it was Oakville Momstowns birthday party and we wanted to go! I left strict instructions; watch their signs, especially Lila’s, and if by 11am she is in meltdown mode then get them down to bed. My husband was capable and supportive, I wasn’t worried. The important thing was to make sure that because I was taking away some sleep throughout the day, I was adding some in as well at different times of the day. So they had a nice 3 hour nap and I made sure I bumped up their bedtime to 6pm from 6:30 pm. They went down fine and slept through until this morning. We are now on Day 2 and we had a minor meltdown this morning, nothing that some cheerios and walk around the block couldn’t fix but more on that tomorrow! So this is a new stage in the McGinn household. It means a new transition for the babies and for mom too. My schedule needs some reorganizing now as well, but nothing that I can’t do. Sophie will be off to school in September all day and the Grandma’s have already offered their morning duty services so I can still provide you the best service possible. This week we will mourn the morning nap but by next week it will all be a fond and distant memory. Join me on my nap transition journey, won’t you? R.I.P. The Morning Nap. You developed, they adapted, they took what they needed from you and now we must let you go. Thank you for your healthy Zzzz’s…you will be missed but never forgotten.